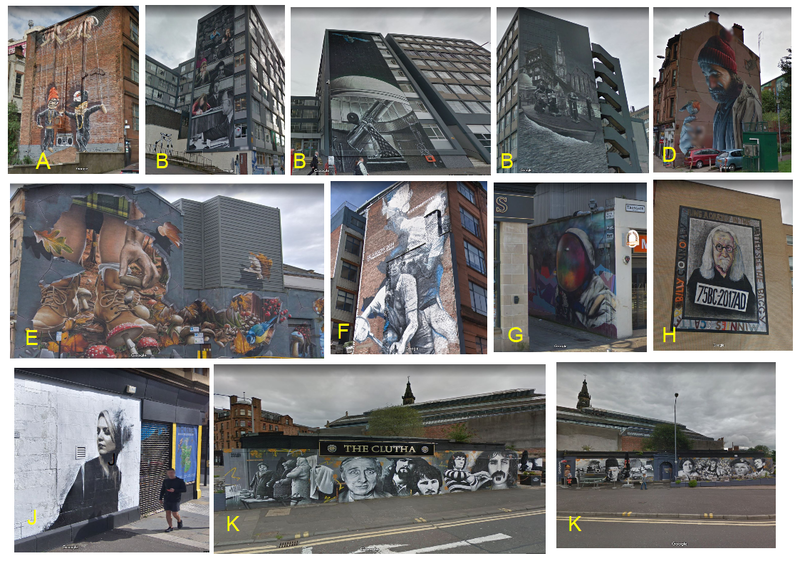 These murals are part of the Glasgow City Center Mural Trail. The works of art are spread over different buildings throughout the city. Many of the murals were painted on buildings that had previously been a reminder of the area's economic risks in the past. The city council began by commissioning the individual pieces to revive unsightly buildings and turn them into street art. 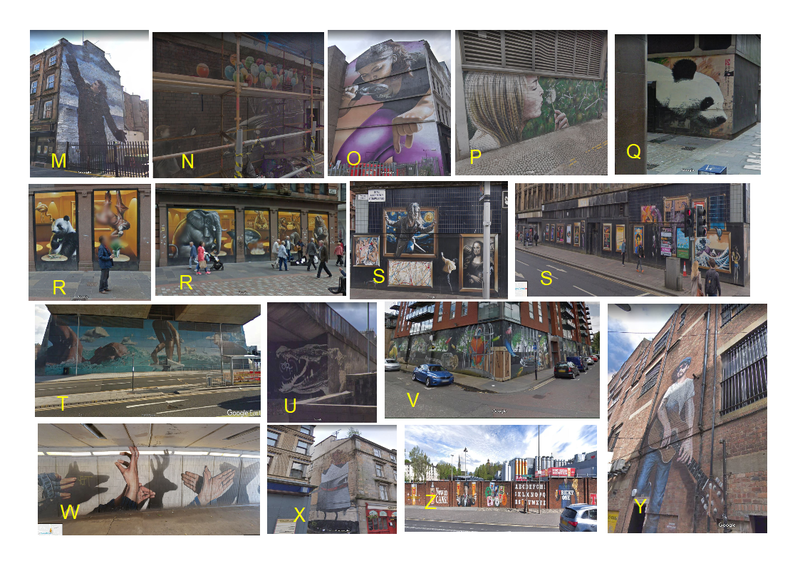 The first mural was made in 2008 and new ones are added, many of them can be seen in SV. You can download an app or use a printed booklet for a self-guided tour. 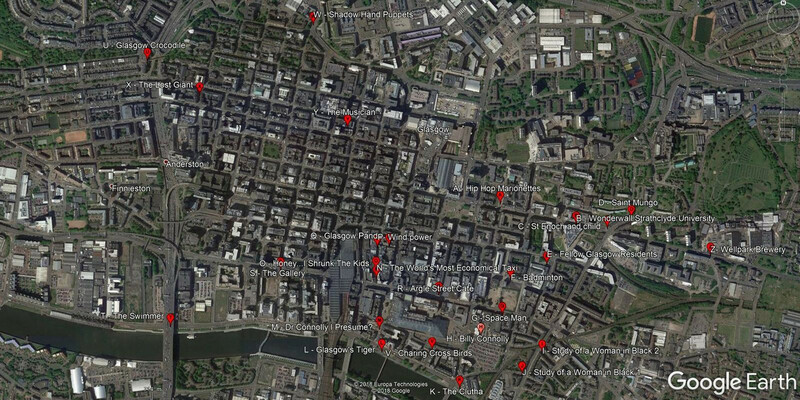 Almost all of the performing artists come from the area, I have listed them in the Placemarks. well he was not a local so as it is the only one placemark with unknown artist in your selection.